As mentioned earlier, Apple's iPhone Lightning Dock will cost you $39. 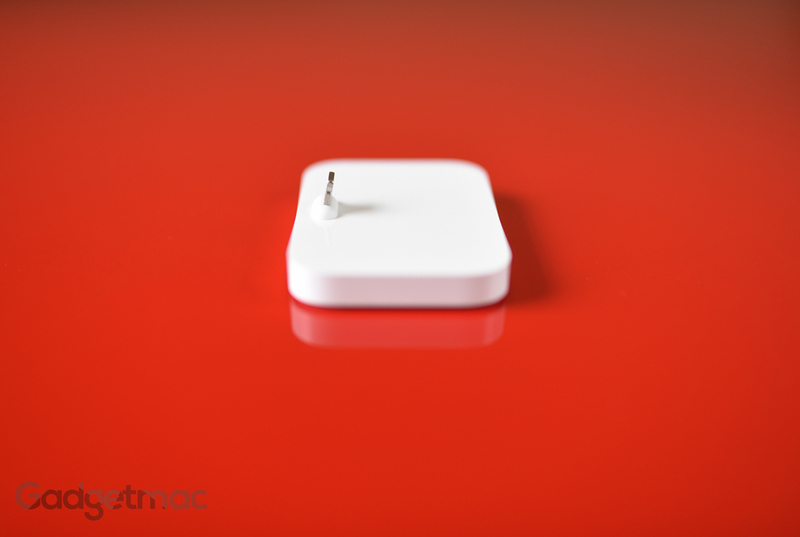 It's made from glossy white plastic and the entire thing is evenly weighted just like previous Apple docks. The dock doesn't come with a power cable so you are going to need to use the Lighting cable that came with your iPhone - or any other third party cable for that matter will work just as well. 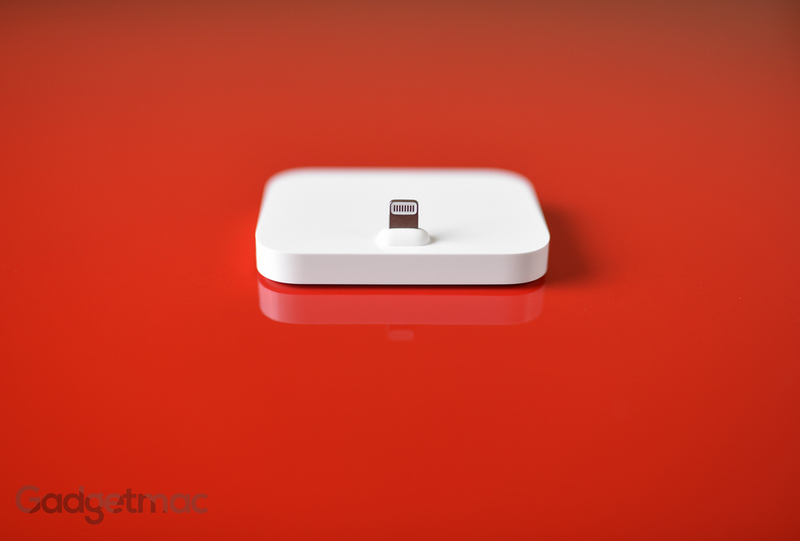 There's a Lightning connector port on the back where you can connect the cable to your computer or a USB wall adapter in order to charge and sync your iPhone. The iPhone Lightning Dock's flat base isn't specifically molded to fit any particular device, meaning that it's future-proof universal design will most likely remain compatible with all future iPhone generations with Lightning connectors including iPods and other iOS devices except for tablets of course. Unlike previous charging docks from Apple, this one doesn't have a cradle shaped to one specific iPhone model, opening the possibility for larger sized devices including iPhones with non-bulky protective cases such as Apple's official silicone and leather iPhone cases to be easily docked on the flat Lightning connector surface. 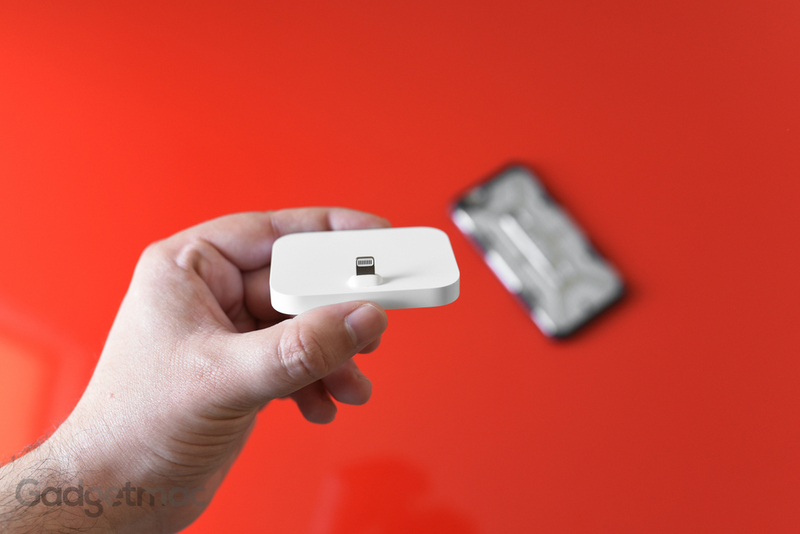 The Lightning connector is the only part that actually keeps the device firmly in place. There is no back support which confirms that Apple believes that the Lightning connector is strong enough to handle the stress from the iPhone's weight including any protective case it might have on. It's pretty staggering when you can dock an iPhone 6 Plus with a case on and it docks right in with incredible stability. This dock might look insignificant, but it's in fact very sturdy. Part of what makes it this stable is the fact that it sits so low on the desk. 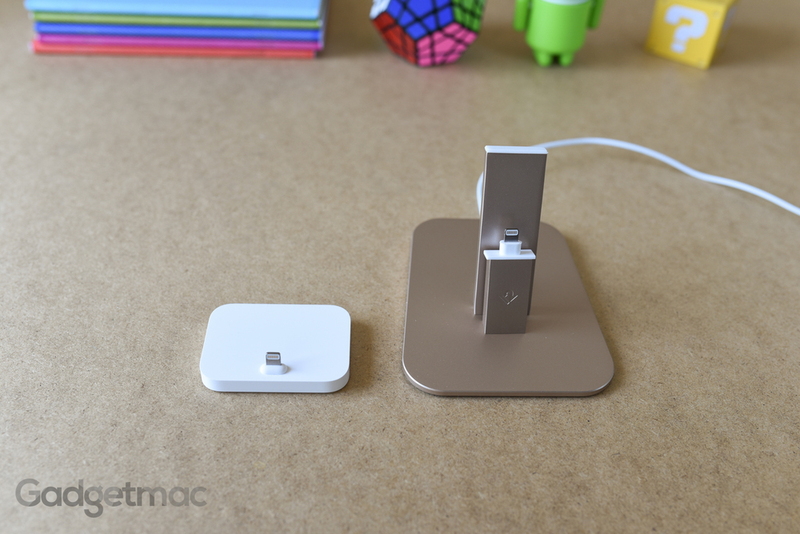 Granted it's not as solidly stable as the HiRise dock. 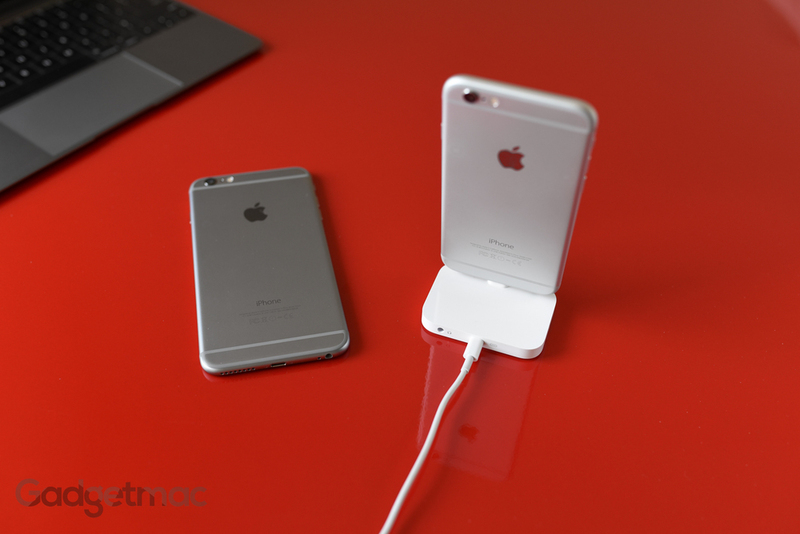 Speaking of desk, the new Apple Lightning Dock the most space saving dock we've used with the iPhone 6 and 6 Plus. 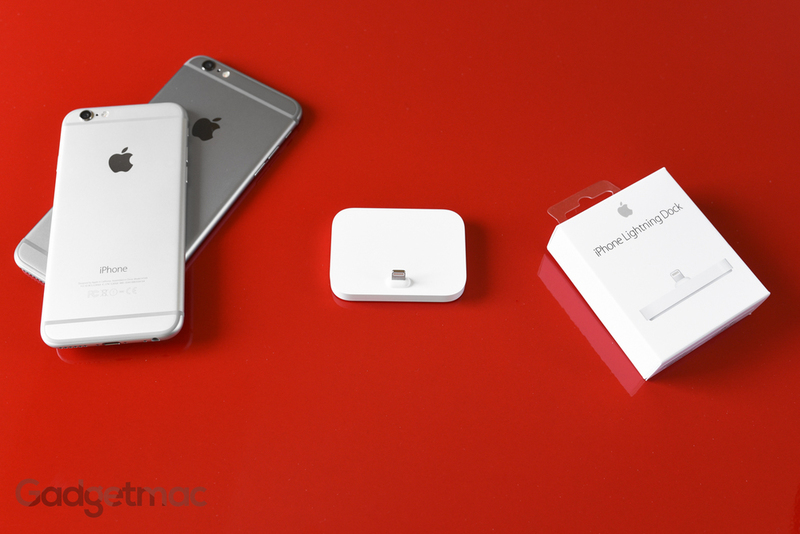 It's virtually the same size as Apple's now obsolete Lightning dock made only for the iPhone 5c, only slimmer – which is now capable of charging on this much improved Lightning dock. Stability does take a significant hit when trying to dock an iPad Air or even an iPad mini, but then again this dock is called the Lighting iPhone Dock for a good reason. 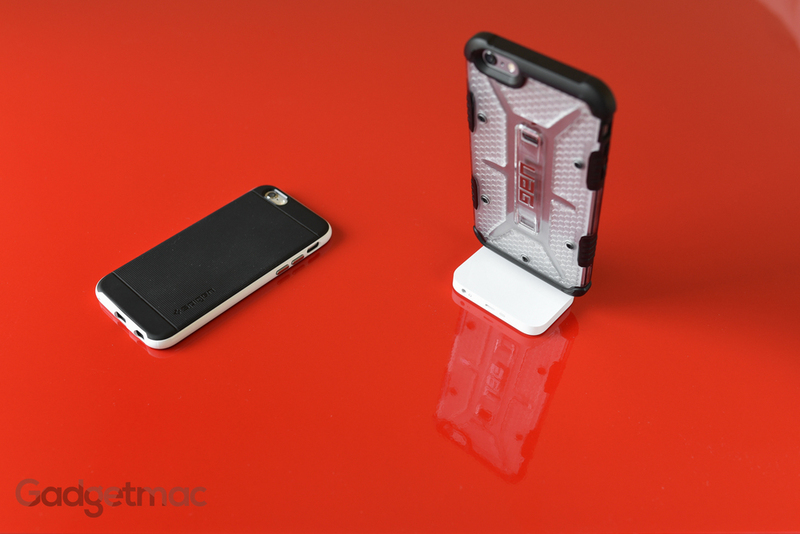 It's specifically designed to work with iPhones and iPod touch with Lightning connector. Although technically possible, we would not advise on using this dock with an iPad. Again, you'd be much better off using something like the HiRise Deluxe which features a back support and large base for extra stability. The Lightning connector protrudes above the surface in order to raise the bottom of the iPhone in order to expose the mic and speaker while also enabling it to poke into various types of cases. While I couldn't use certain types of cases namely the somewhat slim Magpul Field Case or the Spigen Tough Armor, I could use and dock cases like the Urban Armor Gear UAG (shown docked above), Speck CandyShell and the Spigen Neo Hybrid without difficulty. 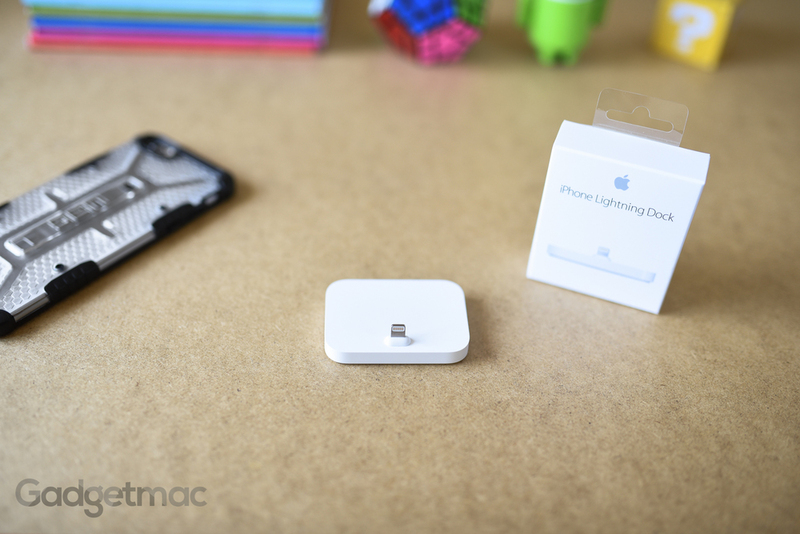 If you look closely you'll notice that the Lightning connector has been permanently affixed to the very front of the dock in what is a white rubber base, but at a very slight angle. This gives you a somewhat better viewing angle of your iPhone's display, but it's nothing dramatic. Still, it's enough to comfortably view and even use your device should you choose. 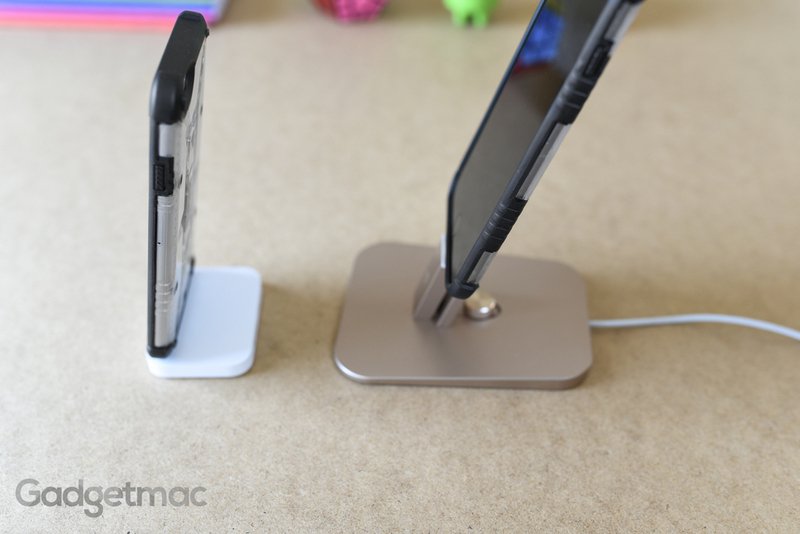 Here you can see the difference in the angle degree between Apple's iPhone Lightning Dock and Twelve South's HiRise Deluxe. Quite a noticeable difference. The HiRise Deluxe is a much more versatile docking solution that will work with more cases, all iPhone models with a Lightning connector, the iPad Air and iPad mini, and even Android devices. Clearly it's the better dock out of the two, but it's also a $60 accessory and as you can see, it also takes up more space compared to Apple's iPhone Lightning Dock. There are tradeoffs to both offerings so think about your priorities for a dock and if you need one to play nicely with more than just your iPhone. Of course you won't be able to undock your iPhone without first holding the dock down with your other hand - or if you're slightly more advanced and articulate - use your pinky finger to hold the dock down as you pull your iPhone up. With some practice, you'll be able to easily pull it out using one hand alone. You can plug in your headphones or external speakers to the iPhone Lightning Dock's 3.5mm audio output around the back, while the gap between the Lightning connector and the dock itself allows you to take calls using the iPhone's speakerphone functionality without having to undock it. And of course there's the Lightning connector port dead center which provides power to charge the iPhone or iPod as well as allowing it to sync when connected to a computer. Let's not forget about the bottom portion of this dock, which is covered with a rubber layer that grips the surface, preventing the dock from easily sliding when used. 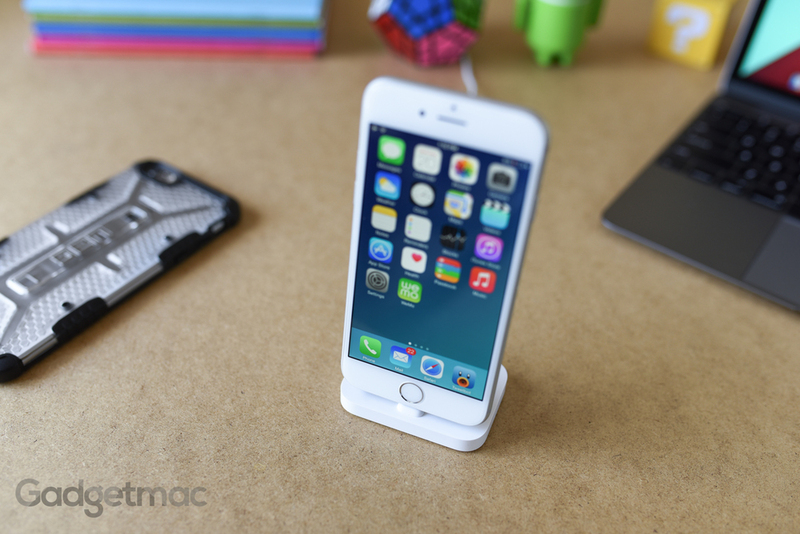 The appealing thing about Apple's Lightning dock for the iPhone 6 and 6 Plus is that it's remarkably simplistic. It's not as complex as the HiRise by Twelve South yet it achieves a very similar function, granted it isn't going to work with as many cases as the HiRise. As someone who appreciates simplicity, Apple's $39 iPhone Lightning Dock is a pretty good option as long as you don't mind the limited iPhone/iPod-only functionality and picky case compatibility. It's a solid space-saving dock, a relatively pricy one at that. If you've got an iPad, don't buy this dock. Don't even get it just so you can use it with your iPhone. Grab a HiRise Deluxe and you won't regret doing so. You'll be paying more for added functionality and a premium metal construction, however, it might be worth the extra cost if that's what you're looking for in a charging dock.